When Dr. David Chase assumed leadership of the La Jolla Symphony Chorus in 1973, it consisted of 60 members. Over the succeeding years, Dr. Chase grew the chorus to 130 voices while expanding the group’s repertoire to include contemporary works as well as proven classics. To mark his retirement after 44 years as Choral Director in June 2017, Dr. Chase assembled and conducted an eclectic program inspired by love and passion under the appropriate title, “The Lovers.” The first piece, the charming “Overture to Beatrice and Benedict,” is a concert staple from Hector Berlioz’s opera comique based on Shakespeare’s “Much Ado About Nothing.” Next on the bill is Arnold Schoenberg’s tone poem “Verklärte Nacht” (“Transfigured Night”), the composer’s interpretation of a German romantic poem. It is widely considered one of this modernist composer’s most accessible works. 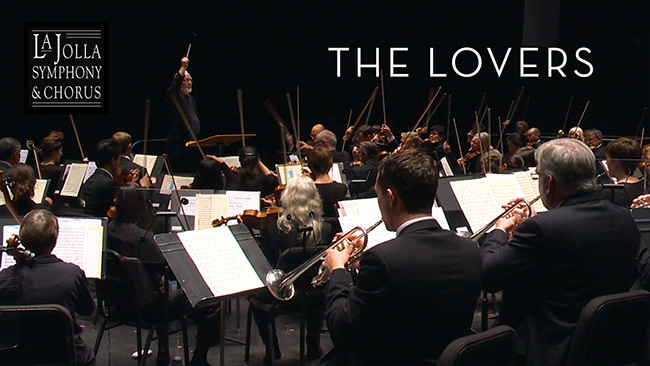 In the program’s final piece, “The Lovers,” American neo-Romantic composer Samuel Barber sets a cycle of poems by celebrated Chilean poet Pablo Neruda for baritone, mixed chorus, and full orchestra. Taken as a whole the three pieces form a compelling examination of both the complexities of love and music’s ability to speak directly to the heart. Not coincidentally, the program also reflects David Chase’s passion for music and lifelong devotion to popularizing lesser-known works and is a fitting culmination to his tenure with La Jolla Symphony & Chorus. Dr. Chase will be ably succeeded, but he can never be replaced. It’s not everyday that a famous composer comes to town to premiere a new work. That day came for San Diego in 2007 when composer Philip Glass made his way to the beautiful beach community of La Jolla for the American debut of his piece, Cello Concerto, with the renowned La Jolla Symphony and Chorus, an ensemble affiliated with UC San Diego. Also classing up the place was cellist Wendy Sutter and conductor Steven Schick, all of whom are featured in this short video introduction, new on UCTV Prime Cuts. Once you’ve got your primer, it’s time to watch the performance itself. Chances are you’ll be hungry for more, so consider perusing our complete collection of diverse La Jolla Symphony and Chorus performances and behind the curtain interviews that we’ve made available over the years. Enjoy!